The after inspection will take place on Monday the 10th of December. Send a copy of the registration paper with your personal data to the KWPN (info@kwpn.nl or by post). The stallion selection and assessment of the quality young, almost three-year-old, stallions exists of several viewings of which the first one takes place in November/December. 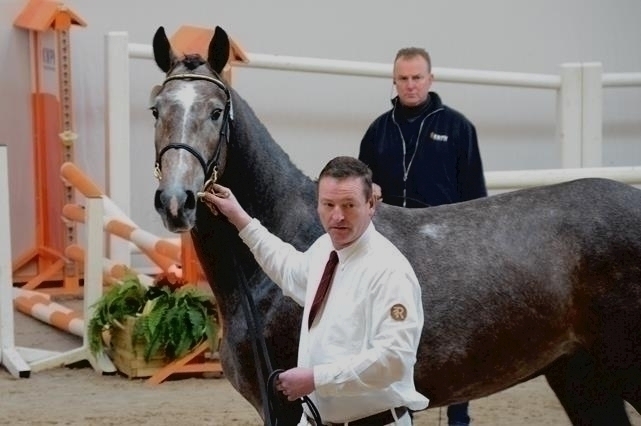 The stallions are assessed by the Stallion Selection Committees that all consist of three persons that are very knowledgeable in the field of sport and breeding. During the first round viewing, the stallions are assessed for the presence of from the outside visible (hereditary) abnormalities or defects, and it is judged whether the stallion has a functional conformation. After that he is assessed in both walk and trot on the hard surface. That way, a deviant movement or leg conformation is more obvious to be recognized by the Stallion Selection Committee.